We made several improvements recently. As always we listen that what members are saying, and we take action. Please read below the list of recent changes and enhancements we made. We hope these changes will help you with your drop shipping business. MAP prices refer to Minimum Advertise Price, which are sometimes imposed by some suppliers. This means that sellers are suppose to advertise the products with a minimum selling price equal to the MAP Price. If a seller advertises an item below the MAP price they are at risk of losing their eBay account or get banned by the supplier. Selling items with MAP prices is a very good thing because it guarantees a minimum profit, since sellers are not suppose to sell below the given MAP price. Now you can easily find products in wholesale2b with MAP prices with our new Browser By MAP prices option. Currently we have over 89,000 products with MAP prices so to help wholesale2b members located these items, we added a new link to Browse Products By Supplier With MAP Prices. 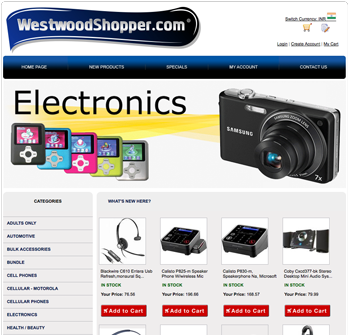 In the world of drop shipping there are many suppliers involved. Some are better than others in many ways. This report will show you the percentage of orders that got canceled per supplier. Canceled orders may be triggered to returns, items that ran out of stock, or problem with a shipping. This report will help you determine which suppliers are best to work with. The lower the ratio, the better! Suppliers usually do a good job in restocking products do run out of stock, however this also depends on the levels of supply and demand, so each supplier will have their own ways of determining when to restock an item or to discontinue and item. To help members get a general idea of how many items are currently in stock, we have added the total of “in stock” items, and the total of “out of stock” items. These totals are displayed on the top of the wholesale2b dashboard page, below the total product count. These product counts will be updated every day. Today we added tons of new tools products with great prices. You can review these new dropship products using the URL below (please login first before clicking on the link below). While reviewing the shipping cost for some suppliers, we were able to lower the costs on both the pet supply supplier as well as our jewelry supplier. We removed the $4 handling fee on the Jewelry supplier and lowered their shipping cost. For the pet supplies, we also lowered their shipping cost on all items. Today we added a new report to help members of wholesale2b.com keep track of changes in the wholesale prices. This new report can be accessed from the menu REPORTS => PRICE CHANGE REPORT located in your member’s account. Price changes don’t occur frequently however on occasions suppliers may change their wholesale prices for various reasons, which is important for members to have some visibility on those price changes. A price change could occur if a supplier is offering a special discount for some time, or a price might even increase over time. We hope this new report will help you with your drop ship business and again, please let us know your comments and suggestions by clicking on the “Contact Us” link located at the top of your account dashboard page. In an effort to improve our communication with our members, we have added a new System Messages menu to the wholesale2b membership portal. By now you might have noticed a new green box in your wholesale2b account with system messages. Those were added because emails aren’t always dependable. You can now view any emails that were sent to you by our system by clicking on the top menu System Messages. You can delete these messages as you wish or keep them as future references. Did you know that wholesale2b can create Youtuve Videos for your site? When you signup for our dropship website plan, you can get a Youtube video made with pictures of items from your website, as well as screen shot of your site along with marketing text that you can choose throughout your video. Video marketing is as easy as loading it to your Youtube account and to your own website which we can do for you. You can also decide on the keywords and video description and include a link back to your website from Youtube which will help you with better rankings on Google. Here is a sample of a recent commercial video we created for one of our customers. Every video we make are unique and will include the URL to your website. To get started, login to your website admin dashboard and order the upgrade “Get a custom video for your website and advertise it on Youtube.com” located in the UPGRADE box. We will need just a few days to complete your new commercial video so you can enjoy new traffic from Youtube. As a savvy shopper, you are likely to stay on top of all of the ways in which you can save money on your holiday shopping—and still give those on your list the gifts they desire. While you likely turn to in-store and online coupons, frequent shopper discounts, an retailer sales—there is another way that you may not have yet considered—shopping wholesale. Many shoppers believe that the only way to access wholesale prices, is as a business owner with wholesale buying power—but there is another way, through the dropship suppliers at Wholesale2B. 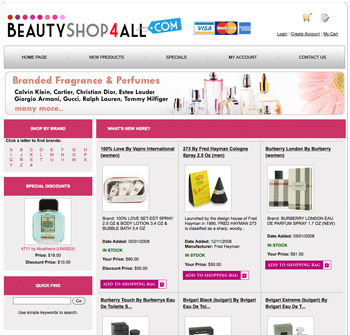 Wholesale2B is a website that allows everyday shoppers direct access to wholesale suppliers of over 1.5 million products! These wholesale products are available in every category you can imagine—this includes electronics, jewelry, toys, health and beauty products, shoes, clothing, accessories—and much more! You can sign up right now for a free account at Wholesale2B.com, so that you can begin browsing the options you have for your holiday shopping. This wholesale site is designed for dropshipping, meaning that you are able to buy quantities as low a one item—which is unheard of with most wholesale shopping opportunities. If you decide that you want to move forward with your holiday shopping, simply select the monthly account that allows you the ability to shop directly from the wholesale suppliers available at Wholesale2B. Monthly plans start as low as $24.99 per month—meaning that it is worth keeping your account active all year-round—so that you can continue to save when shopping. 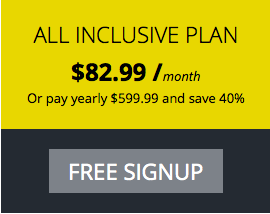 In fact, $24.99 per month is so low—that you are likely to save that much with just one wholesale purchase! While some turn to wholesale pricing to save money when shopping for the holidays, also consider keeping your budget the same—but elevate your gifts! No one has to know that you have access to wholesale pricing, that is unless you want to divulge your newfound wholesale shopping secret. Looking For A Secondary Income? While you can simply continue to access wholesale pricing all year-round—both for gifts, as well as for your personal shopping needs—consider turning your Wholesale2B membership into a secondary source of income. Wholesale2B allows you to quickly and easily launch a low-cost startup. Odds are, if you are in need of a product—so are many other families around the nation. The website allows you to shop for your personal needs, but you can also push products directly to eBay or Amazon to launch your own online business. The site even has a tool that will create a custom website that you can manage from anywhere with an Internet connection. 1. Use the tools provided by wholesale2b to help you sell the products. 2. Pay for the products you want to order, or the products you have sold. 3. Wholesale2b will process your order, and shipped directly to your customer! This means you can launch an online business without keeping any inventory on had! It’s not too late to begin your holiday shopping, or to cross of the straggling stocking stuffers and gifts off your list—and all from the comfort of your home. Please visit Wholesale2B.com to sign up for a free account, and get your shopping done in time for Christmas! Today we added over 854 new dropship products from a supplier that specializes in the niche of car spoilers. You will find all their products under the new category named “Automotive Spoilers”. 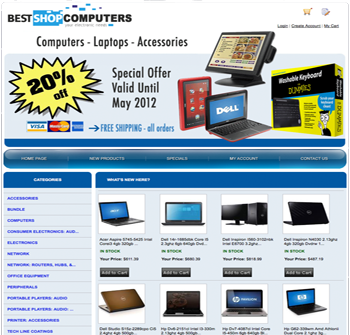 Click on the top menu “Dropship Products” to access this new category. They have spoilers for every type of cars imaginable with truly low prices. We also added 2 new links on the product detail pages of each item called “Compare eBay”, and “Compare AMZ”. These 2 links are located on the right side, and below the price. Clicking on these 2 links will help you find the same item on ebay or Amazon so you can compare your total cost with the average selling prices. We also implemented an enhancement today to our Amazon dropship plan to make the browse of negative more user friendly, by removing all blank pages, thus voiding the need to having to check each page individually. We also added an option in the DELETE button to let you remove items with a negative profit. We also added a link to let you SORT your list by estimate profits.